The galleries of pictures on this site have been divided into several sections. 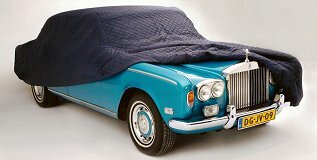 At first there are a gallery of Rolls-Royce pictures and a gallery of Bentley pictures. In these galleries of pictures the cars are ordered by model and year of production. In the future at least one car of each model of each year will be shown in this gallery. You can help me with that. Do you own a Rolls-Royce or Bentley that belongs in this gallery of pictures? Then please send me an e-mail. Perhaps your car gets a page in this ode to the Silver Shadow models. Beside that there are some thematic sections. At first there is one with modified cars like Estates, Stretched limo's, Landaulettes, Pick-ups, and so on. 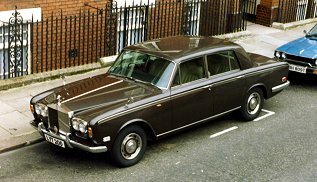 In 2009 a section was added with pictures of Silver Shadow and Bentley T models in the original street scenes of the seventies and eighties. Make your choice by clicking on a picture below or in the menu above.